It’s been mighty slow around these parts lately, but it’s because I’ve been pretty busy and haven’t had time to blog. This particular recipe was made about a week ago but I just got around to editing the photos and writing up a blog post. I will try to bring more recipes soon! 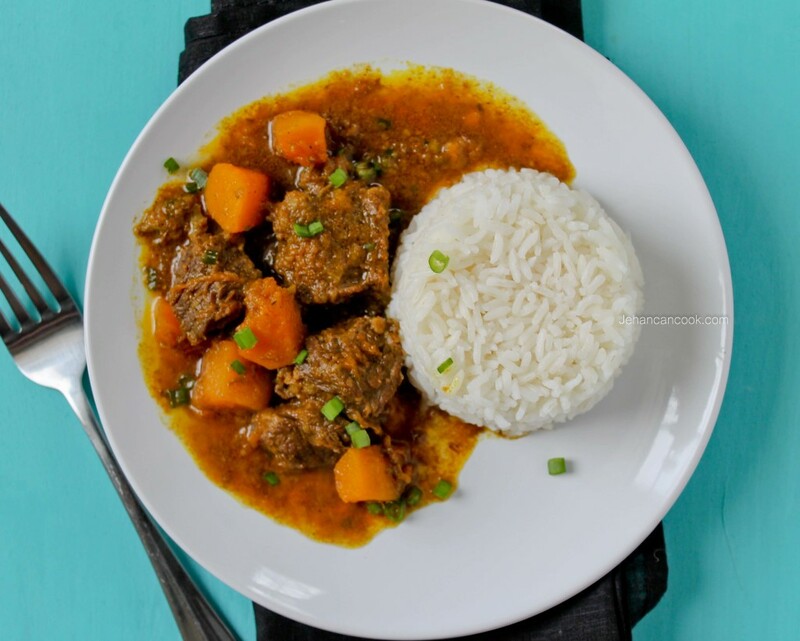 A few weeks ago on my Instagram and Facebook I posted a picture of beef curry and received a lot of requests for the recipe so here it is! I added pumpkin to my curry because I always try to add vegetables in just about every dish; after all they are good for you. 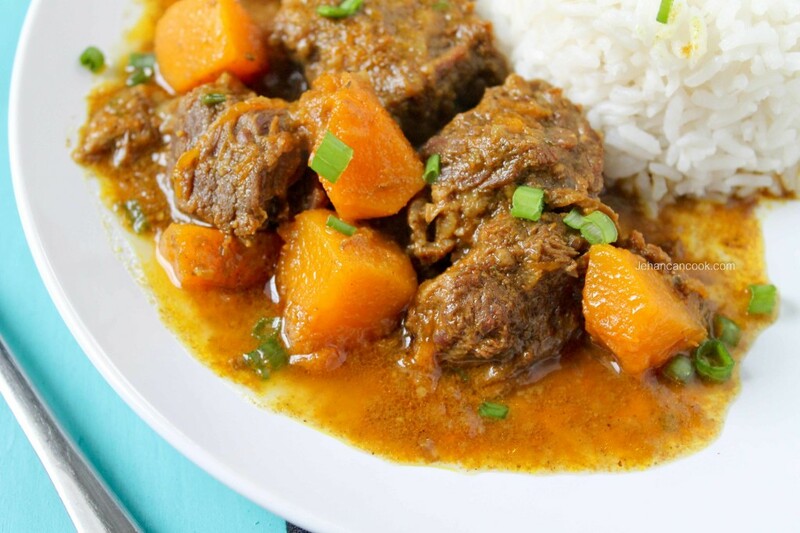 I’m a huge beef curry fan, as a matter of fact it’s one of my favorites and don’t make it as often as I should. 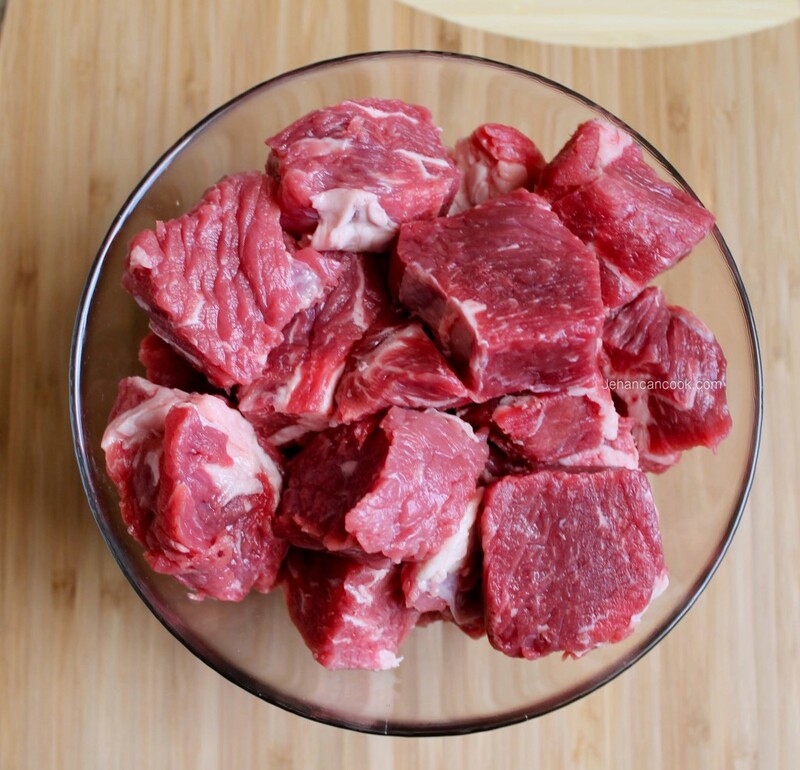 *Chuck roast tends to have a lot of fat which you will need to trim but don’t trim all of it. I included a picture of the meat to show how much fat to leave on the meat. 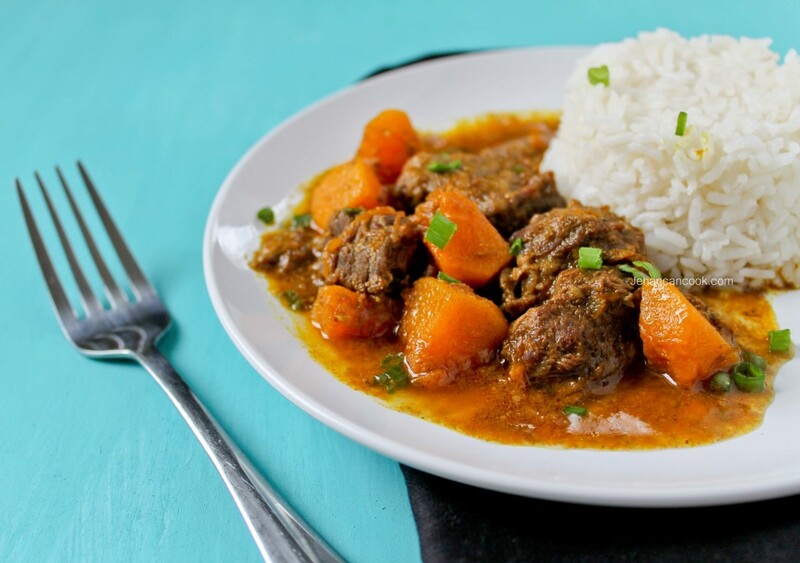 Fat equals flavor and it really adds quite a bit of flavor to the curry. Place beef, green seasoning, salt and 1 tsp curry powder in a large bowl and mix to coat. 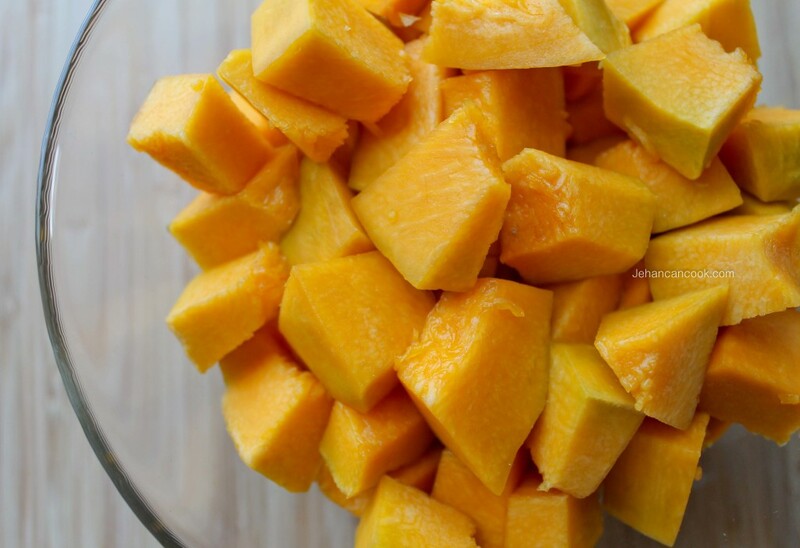 Set aside and allow to marinate for at least 4 hours. To make the curry paste, in a small bowl mix all ingredients until well combined. In a large stew pot over medium fire, add canola oil. When the oil is hot, add curry paste and cook for 5 minutes stirring occasionally. Next add seasoned meat and onion; stir to coat with the curry paste then allow to cook for 15 minutes stirring a few times. Add bouillon, bay leaf and enough water to cover and bring to a boil. Lower heat and cover and cook for 1 hour or until tender. I highly recommend using a pressure cooker to cook the beef. If using a pressure, cook for 10 minutes once the pressure starts to whistle. When the beef is tender, add pumpkin and cook for 15 minutes until pumpkin is tender but not mushy. Once pumpkin is tender remove from the heat and garnish with chopped scallion. Serve hot over rice or with roti. Holy cow, that looks absolutely incredible!!! I am pinning right this second. Thanks Jocelyn, I appreciate it. what is green seasoning? Thank you!